The 3rd University Department of Psychiatry conducts teaching, research and clinical activities. Teaching activities include a series of medical practice lessons, lectures, obligatory and selective courses, seminars, case studies and bibliography reviews aiming to provide psychiatric education for pre- and postgraduate students, psychiatry interns and interns of other specialties. Teaching is conducted by staff members of the department as well as by guest speakers. The aim of the teaching programme is the complete presentation of psychiatry to students and the professional adequacy of the interns. Research activities include the execution of experimental and clinical studies, as well as their presentation at scientific conferences and/or their publication in scientific reviews. Research is conducted by staff members in collaboration with interns and/or students, as well as with colleagues from other psychiatric departments or different scientific fields, in Greece and abroad. Research aims at enhancing scientific knowledge and improving the patients’ health. Clinical activities include clinical diagnosis, the investigation of the patients’ condition through psychological, lab and neuroimaging tests, continuous care of the patients during their hospitalization through medical rounds, appropriate care, social rehabilitation and follow-up care. The clinical activities are conducted by staff members, as well as by interns and students, always under the supervision of a specialist. The contribution of the department’s psychologists, speech therapists, occupational therapists, and nursing staff is precious. The department consists of the inpatient treatment unit, with 22 beds in 8 rooms. During their hospitalization, the patients are engaged in occupational therapy or group therapy. 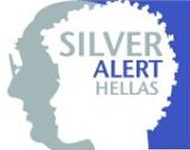 Mobile Unit (on Wednesdays, for patients in the Nea Madytos area – P. Prokopiou): tel.no. : (except on Wednesdays) 2310993361.